April is Earth Month, and for 2015, my resolution has been to find more ways to be eco-conscious. I have a series of posts in Make it Green in 2015 campaign that discuss ways we can make simple changes to help improve our environment and create a healthier lifestyle. Natural parenting is something I care very much about, and we need to teach our children to love our planet by being good examples ourselves. * Gardening Prize Pack including Rodale's Ultimate Encyclopedia of Organic Gardening, seed starting pots, etc. 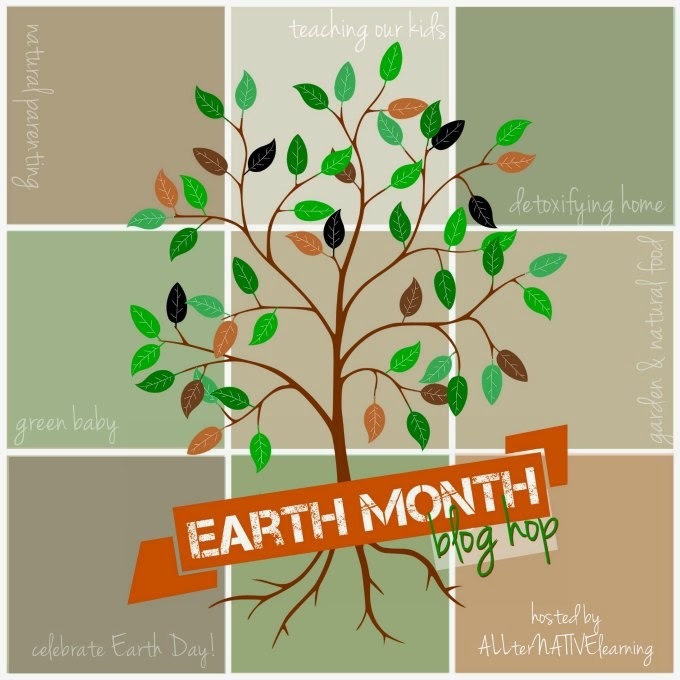 Visit ALLterNATIVElearning to get the full itinerary of topics and more information about the giveaway. Open to US and Canada. Ends 4/22/15. Fill out the form below to enter. the baby package sounds awesome! I love EMAB, and custom fluff?! eeeeee!!! I'd love the NATURAL BIRTH, BABY & MOTHERHOOD package because I'll be giving birth soon!